Virat Kohli described it as a series to revive Test cricket. Alastair Cook said it proved dreams do come true. England's enthralling 4-1 victory over India was indeed both uplifting and mesmerising, the scoreline barely beginning to tell the tale of competitive, unyielding action. Five Tests in seven weeks left both teams running on empty but spare a thought in particular for India's seamers - collectively, in some eyes, the best pace attack ever assembled by the tourists. Spinner Ravichandran Ashwin took four wickets as England slumped from 216-3 to 285-9 on day one, producing a crackerjack delivery to remove Alastair Cook, before Virat Kohli ran Joe Root out for 80 in stunning fashion with a fizzing leg-side throw - his celebration earning him an 'informal chat' with match referee Jeff Crowe. If England's failings felt familiar, Kohli (149) banished his horror tour of 2014 by striking his first Test hundred in England after being dropped on 21 and 51 - catching remaining on the home side's must-do-better list. 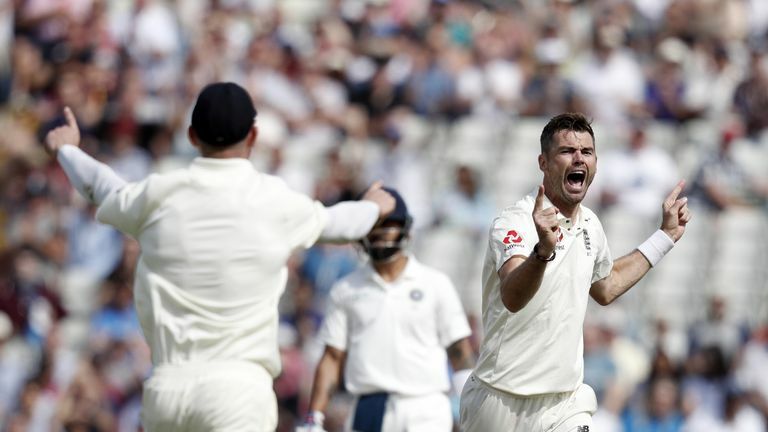 The slender nature of England's lead was highlighted as Ashwin bowled Cook in near-identical fashion second time around for a duck and they were badly wobbling at 87-7, a lead of only 100, after losing three wickets in the space of one Ishant Sharma (5-51) over. The rescue party was led by Sam Curran, who struck nine boundaries and two glorious sixes in a 65-ball 63 - the second bringing up a maiden Test fifty. India, chasing just 194 runs to win, crashed to 114-5 on a day that saw 14 wickets tumble but going into the fourth day needed just 84 more with Kohli still at the crease. 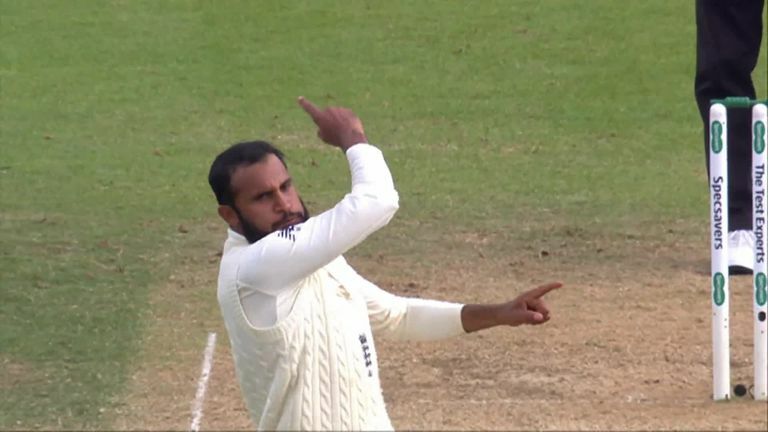 The skipper reached his half-century to boost Indian hopes only to be pinned lbw by Ben Stokes as he moved across his stumps - the Durham all-rounder roaring in delight before finishing with 4-40. 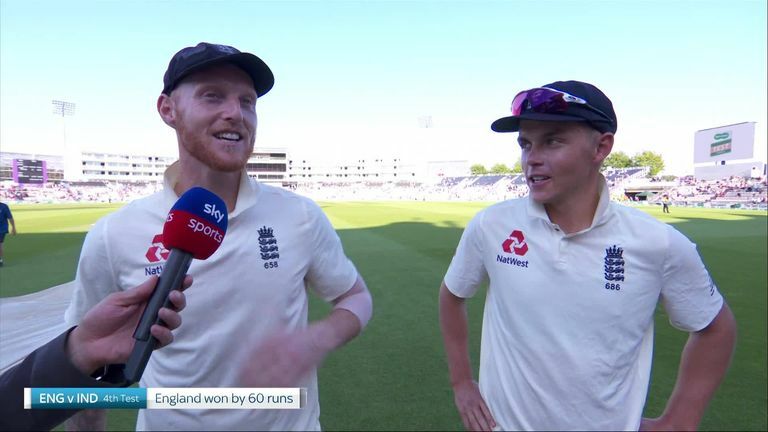 What they said - Nasser Hussain: "Sam Curran has won England this game. India might say Kohli got 200 runs but who turned this game around? A 20-year-old. It's a phenomenal achievement. "He changed the course of two innings. He came on with India 50-0 and pitched it up, swung it and got four for nothing and he then went in with England 87-7. "After his first game you thought he was maybe a bits-and-pieces cricketer and wondered whether he was quick enough, could move it enough and if he was a proper batsman. "I always used to say 'pick someone on their character more than what they are showing in county cricket'. He has character in abundance." 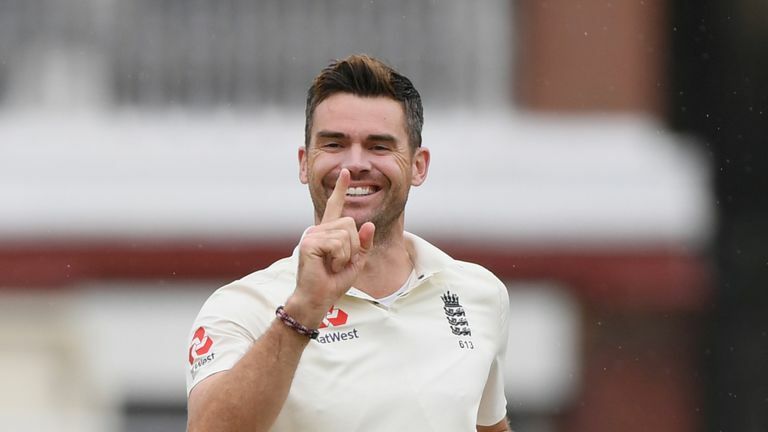 James Anderson ripped through India to the tune of 5-20 in the first innings and then returned 4-23 in the second, seeing him secure a century of wickets in his 23 Tests at Lord's, falling just short of a first-ever Test 10-for at the ground. 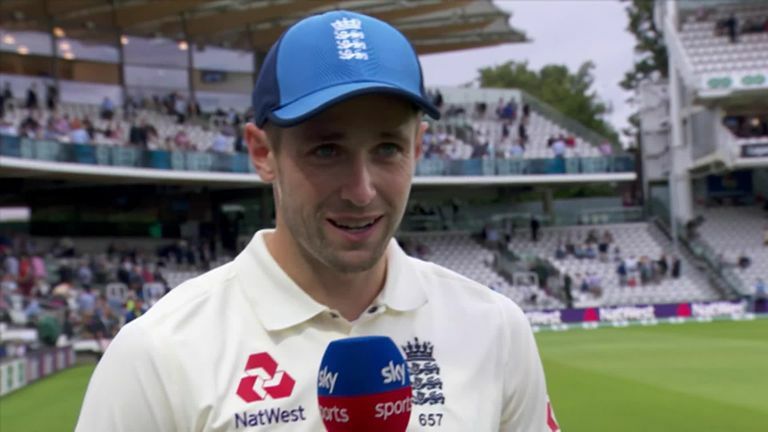 It wasn't good enough to earn him the man-of-the-match award though, with the recalled Chris Woakes pipping him to that prize, etching his name on the honours board with a fine maiden Test ton. Rain interrupted three of the four days - the Home of Cricket suffered its first full day washout in 17 years on day one - but England managed to skittle their opponents out for 107 to set them on their way to a thumping win. Ollie Pope looked confident and comfortable during his debut Test innings of 28 but Woakes stole the show with his stunning maiden Test century on day three. His unbeaten 137 saw the team out of a slightly tricky spot at 131-5, and a lead of just 24, when he came to the crease. What they said - James Anderson: "The more I've played here, the more I've got used to the slope. Even when the ball's not swinging, you can use the slope to your advantage. We got a lot of movement in the last couple of days, but you can certainly use the slope at the Nursery End to find the edge of the right-handed batsmen. It's such a special place to play. "Anyone you speak to will tell you that you just turn up here and it's incredible, from the lunches to the dressing room, to walking through the Long Room and going out on the field. "It's such a special place to play and you just get a real buzz when you come here. I think that probably helps me. There's not many grounds where you like both ends but this is one of those places." India needed just 17 balls on day five to wrap up a 203-run victory to halt England in their tracks and begin talk of one of the great series comebacks of all time. There was little hint of the mayhem to come as India passed 300 on day one - Kohli falling three runs short of his second century of the series before being dismissed by Adil Rashid. England's top-order trauma drained throughout the entire side as the home side lost all 10 wickets in the afternoon session on day two - Hardik Pandya claimed his maiden five-for in just 29 balls. Kohli rammed home India's first innings advantage, making no mistake this time in making three figures (although he was missed on 93), and while England's openers did see out the day - a record target of 521 was as tough an ask as they come. 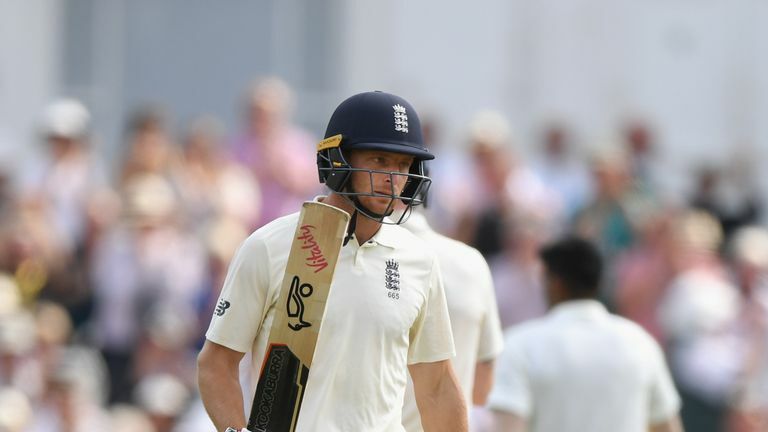 Jos Buttler (106) and Ben Stokes (62) defied India in a fifth-wicket stand of 169 which helped to take the third Test into a final day - Buttler confirming Ed Smith's faith in him and describing his maiden ton as his proudest moment. This was India's moment though - Jasprit Bumrah weakening England's grip with his second Test five-for - before Ashwin outfoxed Anderson with the 17th ball of day five. India's aim? Simple. To become only the second team in Test history to overturn a 2-0 deficit and triumph in a five-match series. What they said - Ian Botham: "Let's be honest, India have outplayed England in this game. They out-batted them, out-bowled them and out-fielded them. 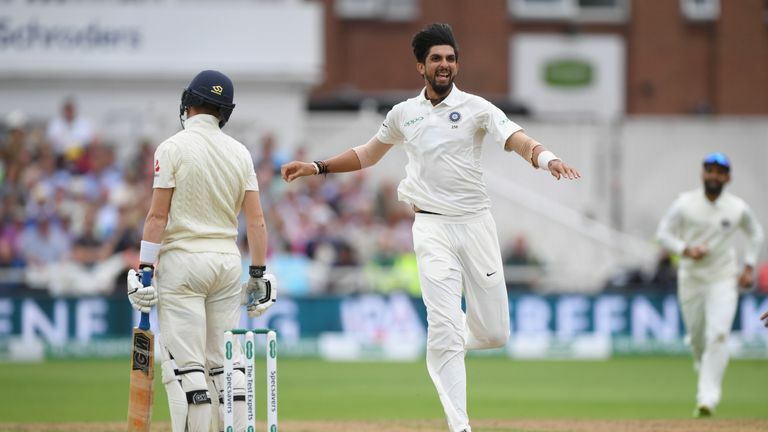 "After England won the first two Tests, it could have become a very one-sided series but with India winning at Trent Bridge, it is all to play for again. "One positive for England was Jos Buttler. If there was any debate to be had over whether he has what it takes to be a Test player, he put it to bed with his century on day four. Personally, I never had any doubt." 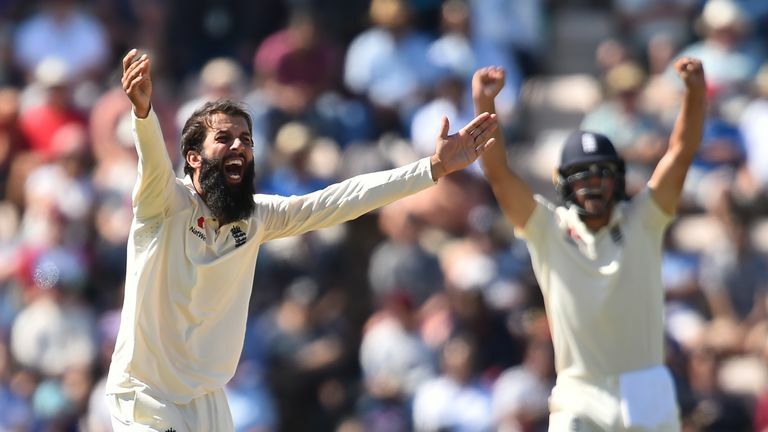 England's response was to recall James Vince - as cover for Jonny Bairstow - as well as Sam Curran and Moeen Ali, but Vince was benched as England imploded again to 246 all out, Root contributing just four batting at number three. On his Test return, 20-year-old Curran came to the crease with the hosts perilously placed on 86-6 and proved England's saviour again with a Test-best 78. Cheteshwar Pujara's (132no) 15th Test ton should have put India out of sight but Moeen Ali had other ideas, striking four times in three overs either side of tea on his way to 5-63. 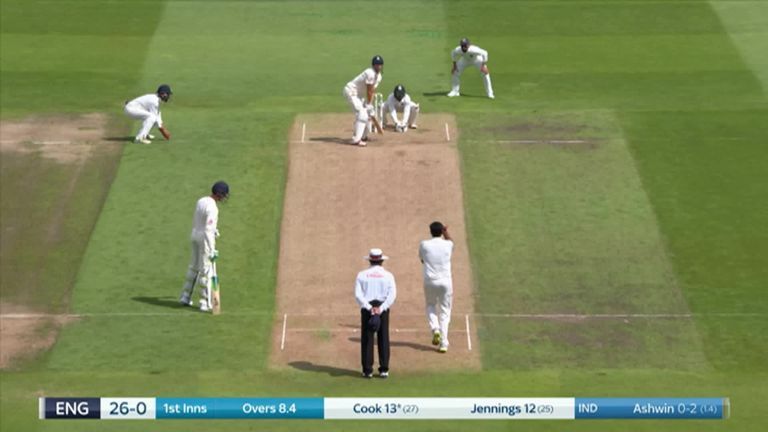 Buttler was back in the thick of the action, striking an impressive 69, while Root made 48 before being run out having been replaced at three by Ali - all rather emblematic of a side in a muddle. But that very same side completed a third straight home Test series win over India as Ali took 4-71 to end with match figures of 9-134 - India rolled over for less than 200 despite a 101-run fourth-wicket stand from Virat Kohli (58) and Ajinkya Rahane (51). What they said - Ben Stokes: "I am buzzing. We came here with a bit of pressure after the way we performed at Trent Bridge. "Credit to everyone, especially in the third innings where I thought we could easily have crumbled. We showed real fight and put all the demons out of our mind to put a score on the board. "I found another aspect to my game, trying to dig in and change to whatever the game is offering to me at the time. I thought time in the middle was crucial and that the runs would come." Could Cookie shine on his farewell appearance? The former skipper dug in after receiving a guard of honour from India on his way to the wicket - but a first-innings ton eluded him when he chopped on for 71. 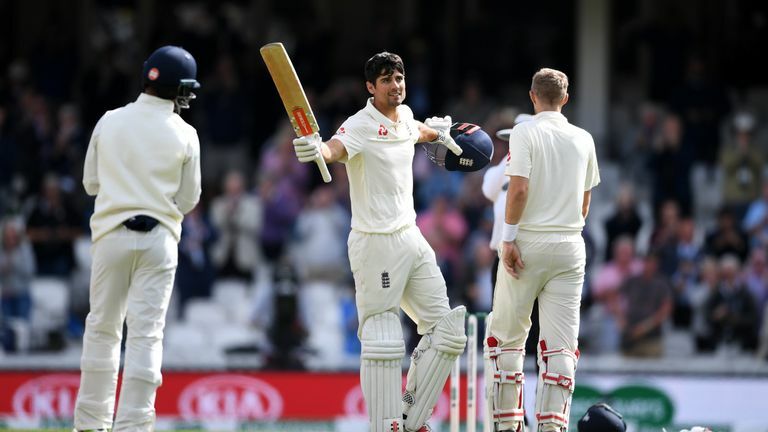 His knock, though, was the mainstay of a meagre first day 198-7 so it needed an enterprising 98-run stand for the ninth wicket between Buttler, reaching his fifth Test fifty of the summer, and Stuart Broad to get England back on track. Ravindra Jadeja, playing in his first Test of the series - to the surprise of most, showed impressive resistance to steer India to a first-innings deficit of just 40 with an unbeaten 86. Keaton Jennings ended the series with an average of just 18.11 - England ending day three on 114-2 with Cook unbeaten on 46. The opener produced the fairy-tale finish every England fan desired as he played with greater fluency than at any point in the series and earned a rapturous and heartfelt ovation as he brought up his hundred just before lunch and went on to make 147 before leaving the field to further acclaim. The feel-good factor continued for England despite a battling 204-run stand between KL Rahul (149) and Rishabh Pant (114) who gave India hope of saving the game, and at one stage thoughts even turned to the prospect of a world-record chase of 464, before Adil Rashid (2-63) produced a ripper to bowl Rahul. 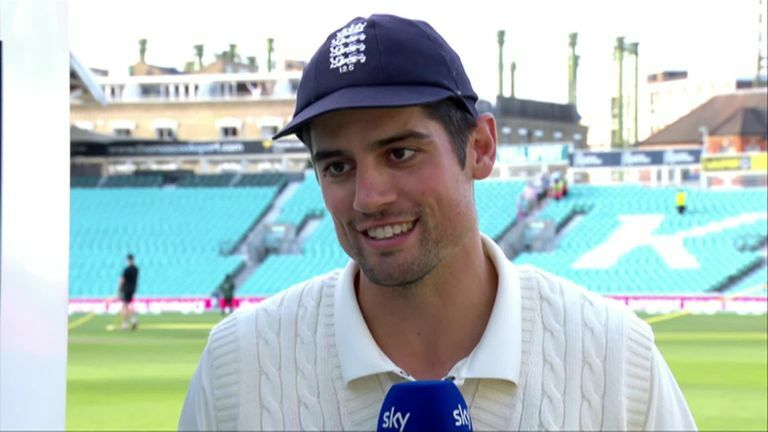 What they said - Alastair Cook: "Ever since [my England retirement] was announced, I suppose you hope you have a good week. To top it off with a score here is just incredible. Sometimes dreams come true," Cook told Ian Ward. "On a purely selfish level, even at the end, fielding at short leg with the Barmy Army singing, it's why you play sport - occasionally those little selfish moments. It was very special. It's just been a great week." 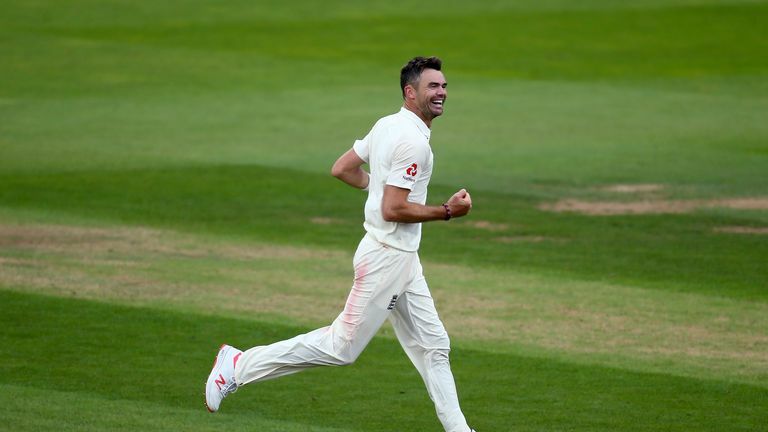 James Anderson: "I'll go away now - we've got a decent break before Sri Lanka - and try to get myself in as decent as condition as possible to cope with the rigours of bowling seam in Sri Lanka, which can be tough. "Then we'll just see how it goes. I read something that Glen McGrath said - he went into the 2006 Ashes with no intention of retiring and then by the end of it, he thought his time was up. Watch England take on Sri Lanka and West Indies this winter live on Sky Sports Cricket.